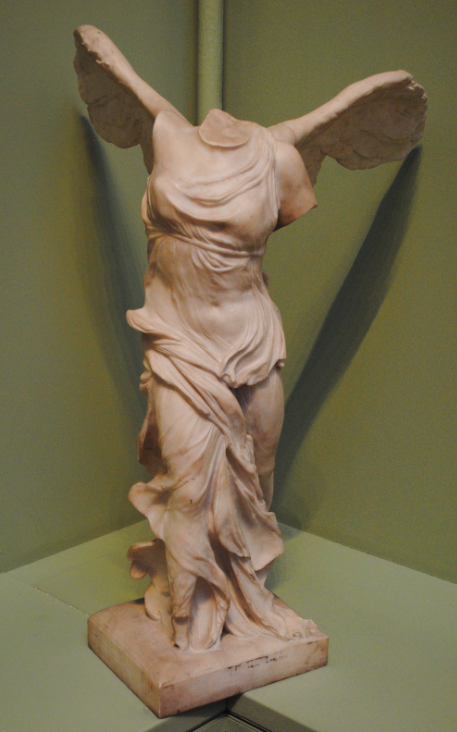 The above marble sculpture dates to circa 1863 and is a copy of The Winged Victory of Samothrace. Also known as the Nike of Samothrace, it was discovered in 1863 on the Greek island of Samothrace by the French consul and amateur archaeologist Charles Champoiseau. The original statue is thought to have been created between 100 and 300 BC to honour Nike, the goddess of victory and messenger of Zeus and Athena. Considered to be one of the finest examples of Hellenistic period sculpture, the goddess is depicted descending from the skies with extended wings. A plaster replica now stands in the museum at the original location of the Sanctuary of the Great Gods on Samothrace.